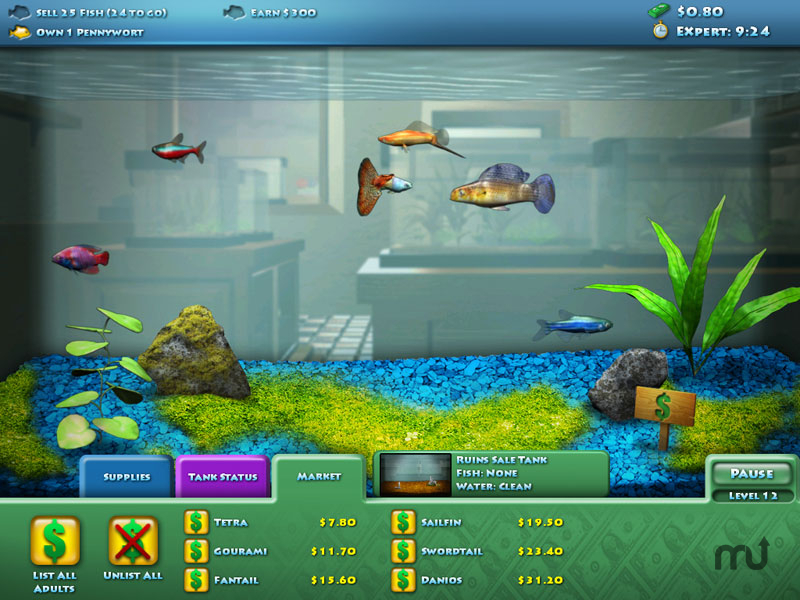 Aquarium shop game, breed freshwater fish. Is there a better alternative to FishCo? Is FishCo really the best app in Puzzle category? Will FishCo work good on macOS 10.13.4? FishCo... You and your business partner, Tracy, own an aquarium shop where you must breed and raise freshwater fish to sell. As you progress through 40 exciting levels, you can unlock new fish and plants, upgrade filters and lighting, and purchase food and medicine to keep your fish healthy and happy! FishCo needs a review. Be the first to review this app and get the discussion started! FishCo needs a rating. Be the first to rate this app and get the discussion started!